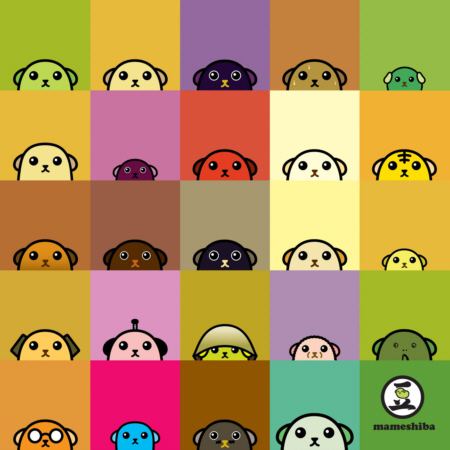 Fruitless Pursuits: Mameshiba: Japanese Trivia Bean Dogs! Mameshiba! I'd seen these things around Chinatown and thought nothing of them other than "they're pretty cute". But what exactly are they? The official website says: "They're not quite a bean, nor a dog but rather a hybrid of both. They love to appear out of nowhere and offer random bits of trivia whether you asked for it or not..."
I love the ungrateful reaction on that kid! More after jump! Damn it, Peanut! What's your game? Is the trivia a natural defense mechanism? It seems to work most of the time and the bean stays uneaten. This is evolution at it's best. There are many may more on Youtube for all us bean/dog/trivia fans. :O This is the best thing I have ever seen! I've never seen a cute animated thing where people act in a natural, horrified way when an adorable creature appears. I need to watch all of these! Oh I hadn't seen the coffee one before! I love the little moustache! Awesome. I hadn't seen the peanut one yet! So good!